Infused bath salts now available from Ceres for a truly relaxing experience! 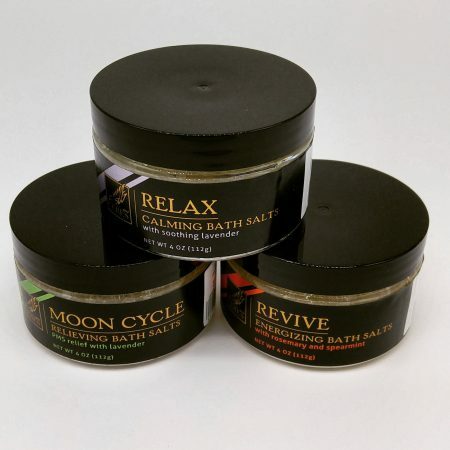 Perfect for soaking sore muscles, these bath salts have an Epsom salt base and are infused with 100mg Cannabinoids. Following a soak, your mind is trouble-free, and you’ll feel like you’ve been given a total body massage. Whether bathing alone or with others, escape the mundane with the properties of CO2 full-flower cannabis extract and pure Epsom salt. Now available in relax, or in moon cycle varieties.